This delightfully illustrated “chapter book,” geared for 8-to-12 year olds, tells the charming tale of five family members and their naughty dog (each with a different sensory processing challenge), and how they get in sync after a tough day. The book is designed with the action of the story in larger print for younger readers to read or hear. Explanations of sensory processing issues are woven throughout the story in regular type for proficient readers to linger over at leisure. 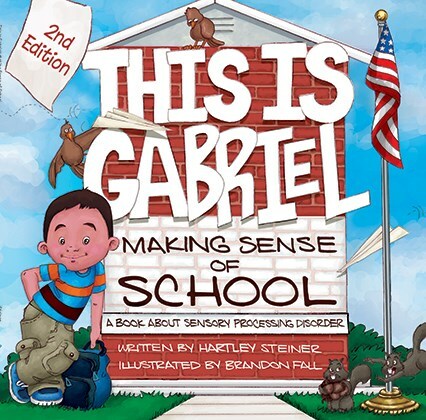 Everyone with sensory issues will find a character with whom to identify. Darwin, 11, is over-responsive to sensory stimulation. Edward, 5, is under-responsive. Teen-aged Carrie has difficulties with dyspraxia. The father, Andy, has sensory discrimination issues. The mother, Betsy, and the dog, Filibuster, are definitely sensory seekers. 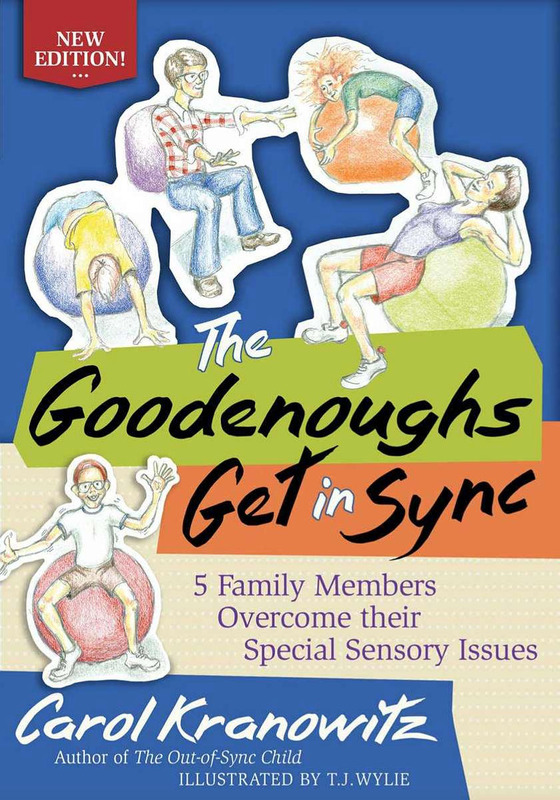 The Goodenoughs explain what they need to do to function successfully, and at the end of the day, they all get back in sync. Readers will appreciate descriptions and illustrations of activities that they can replicate in their own homes or classrooms. The Goodenoughs Get in Sync, first edition, was the winner of an i-Parenting Media Award and was a Finalist for ForeWord Magazine’s 2005 Book of the Year for juvenile non-fiction. This new edition has a new preface and revised introductory chapter to help people understand SPD even more clearly.